It is a paragon of royalty in makrana marble. Work on the base of red and green color to augment the whole look. Gold color painting and kundan work on it have been used to make the whole look refined. 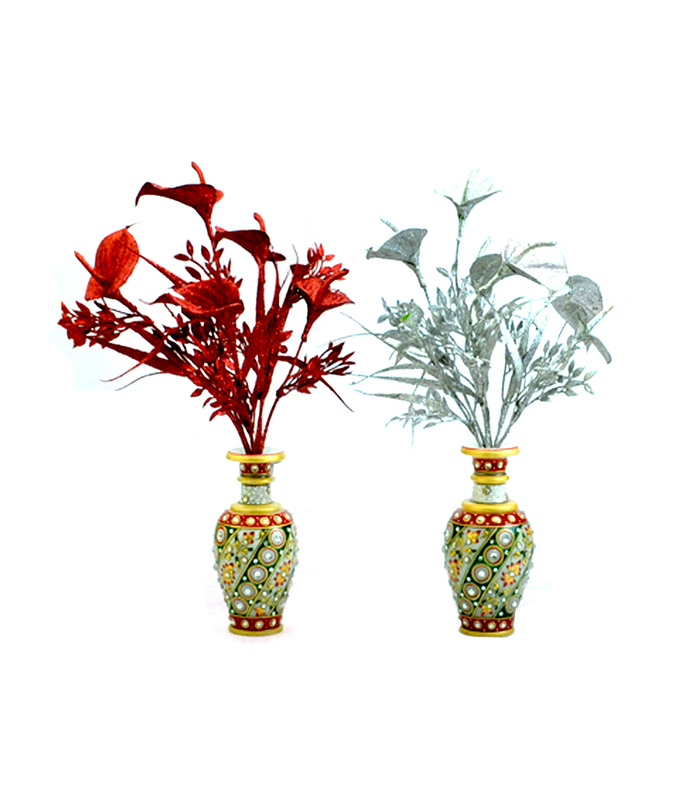 The flower vase is an art medium in itself . Its universal symbol relate to holding, pouring and flowing. 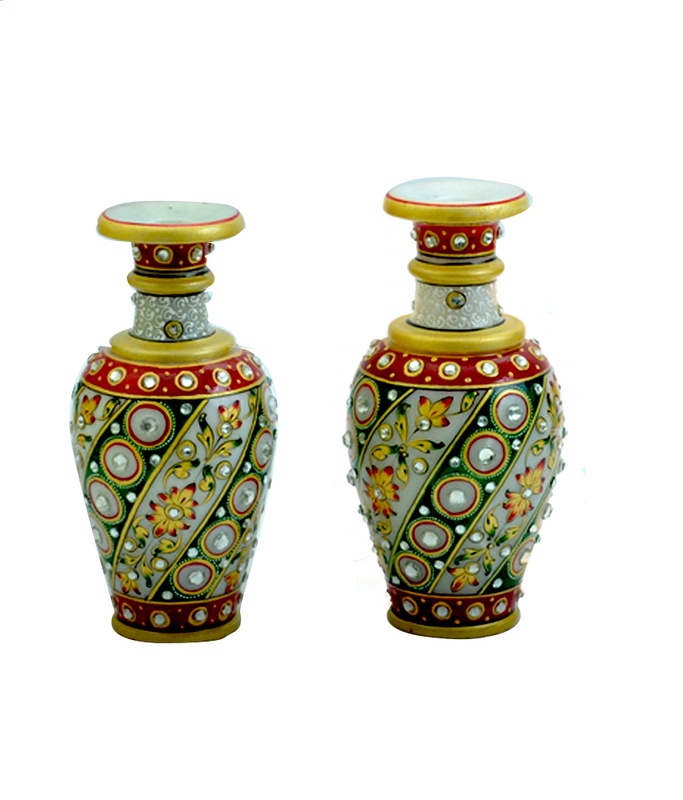 It can be used to ornamate your interiors and can be a good gifting option too .Being handcrafted, it has many design options. These flowers will not be include in the box this is use only for presentation of product. Product colour may slightly vary due to photographic lighting sources or your Screen settings.